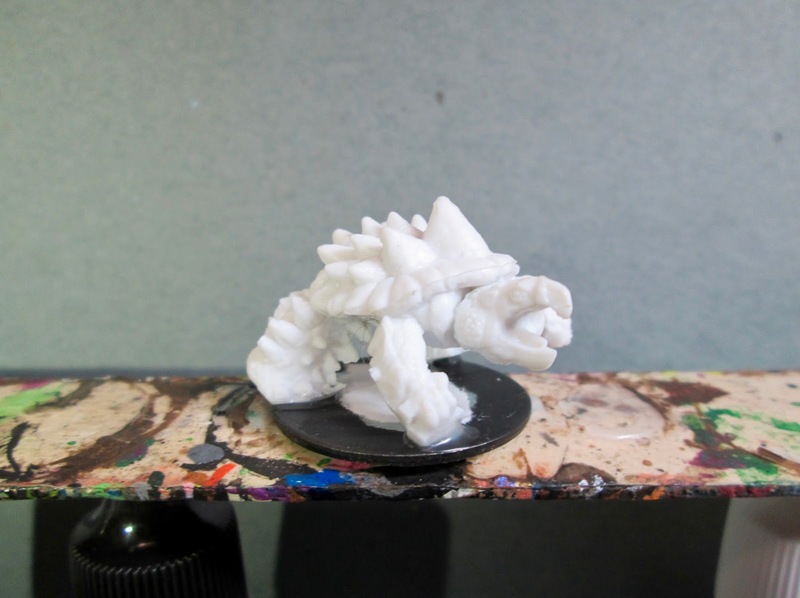 Spikeshell Warrior Converted to Snapping Turtle | H.A.W.K.S. 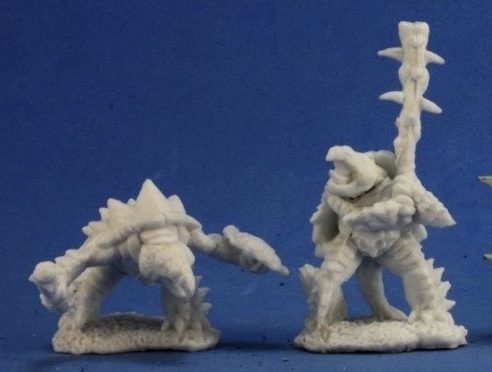 I needed a snapping turtle for the Ghost Archipelago Bestiary, and the easiest way I could think of to get one was to simply convert one of the Bones 2 Spikeshell Warrior figures (from the Swamp Things set) that I still had lying around. The one on the left is the one I used. I prepped the figure in the usual way; soaking it in a dish of water with a couple drops of dish-soap added, then giving it a light scrub with a soft toothbrush, and then rinsing and drying it. I then carefully cut off his arms, legs, and head. I also cut away his shield and club. 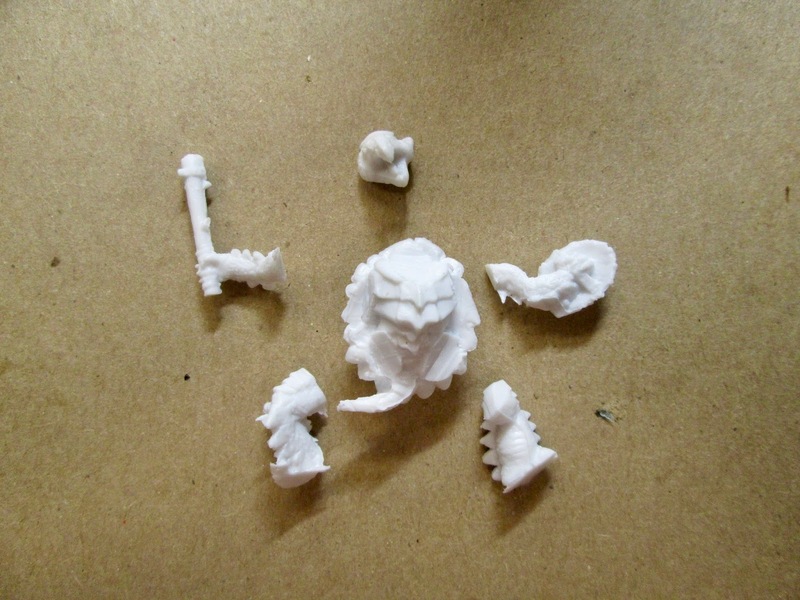 Next, I trimmed the underside of his shell so it would sit flatter on a base. After that I trimmed his head and his limbs so they would fit the shell better in what would be it’s new horizontal orientation. I then glued all the parts back together. I then glued the figure to a black-primed 1" fender washer with Aleene’s Tacky glue, and then glued the washer-mounted figure to a tongue depressor with a couple drops of the Elmer’s glue. I began by painting the whole figure with a 50/50 mix of Americana “Avocado”, and Apple Barrel “Apple Black Green”. 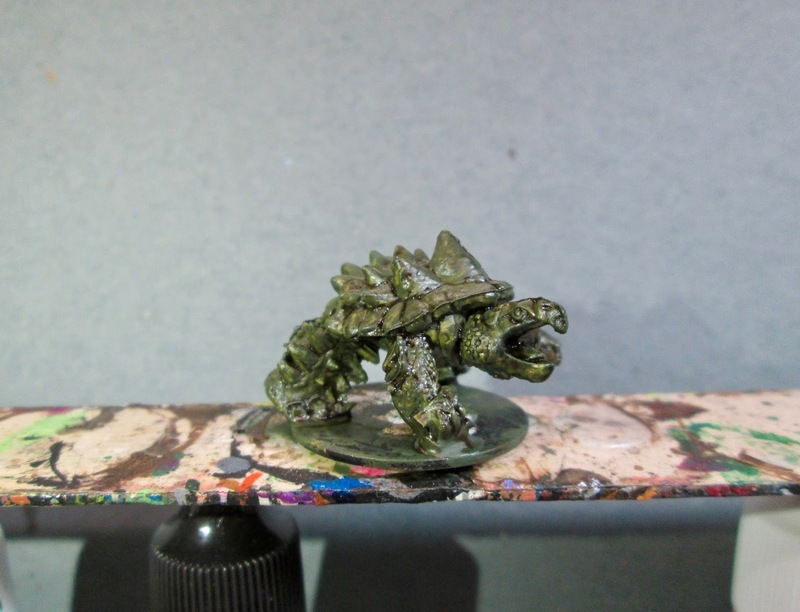 When they were dry, I gave the entire turtle a wash with Citadel Agrax Earthshade" wash. 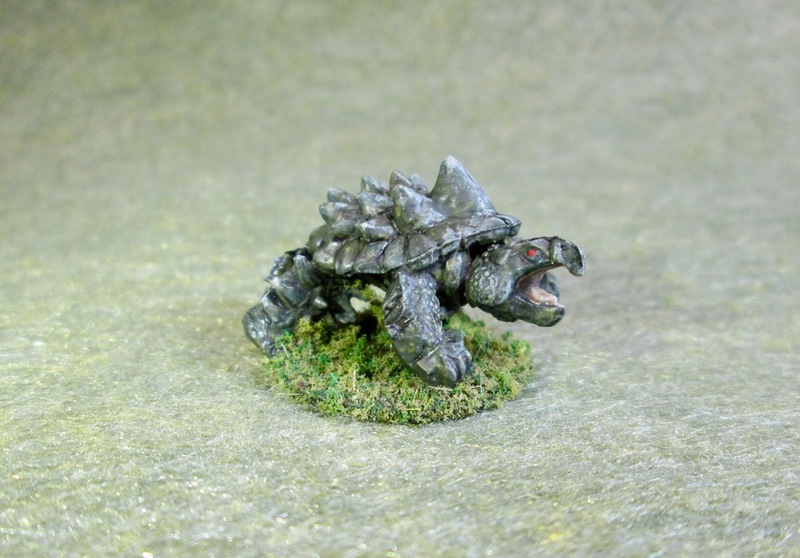 When the wash was dry, I drybrushed the turtle with Folk Art “Grey Green”. After that I painted his eys with Reaper MSP “Holly Berry”, and then painted the inside of his mouth with Apple Barrel “Flesh”. Then, when the flesh was dry, I agve his mouth a wash again with the “Agrax Earthshade”. When the wash was dry, I added some quick highlights to his tongue with the base “Flesh”. Lastly, I painted the base with Americana “Raw Umber”. 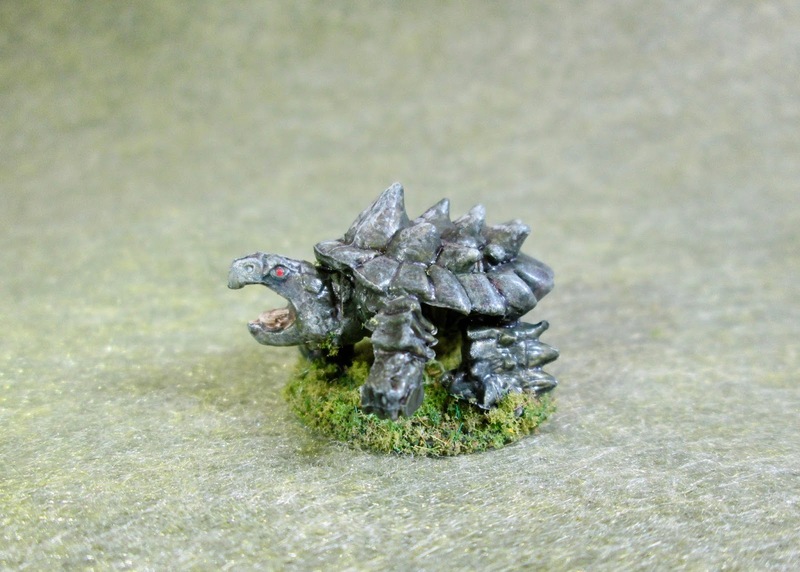 It’s always great to see converted minis, especially when they’re done as well as you did this turtle. My favourite part is how you turned him into an actual walking turtle, while still having him look mean enough to snap at people. Awesome Job! Thanks! I’m glad you like the way it turned out!